Join Premajyoti for this 6 weeks class series designed to create more strength, balance and flow into your life. 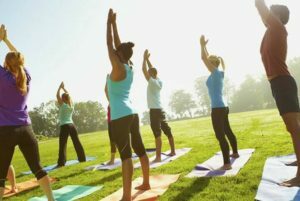 These classes follow very classical principles of yoga, including energetic awareness, in an extended 90 minute format. A fantastic way to deepen your practice + unwind and energize ready for the weekend. In this Traditional Yoga class, we will work with both flowing and held postures that will open and cleanse your body, strengthen, tone and lengthen your muscles, and calm, soothe, and open your mind. Postures will be followed by simple, energizing breath-work & a guided Mantra Meditation.